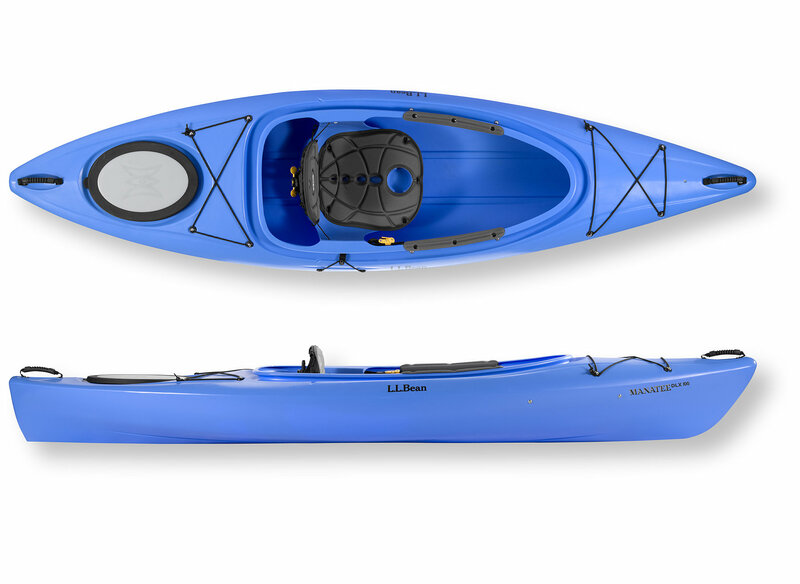 A stable solo kayak designed for paddling on lakes, rivers and protected bays. Made from durable rotomolded polyethylene. 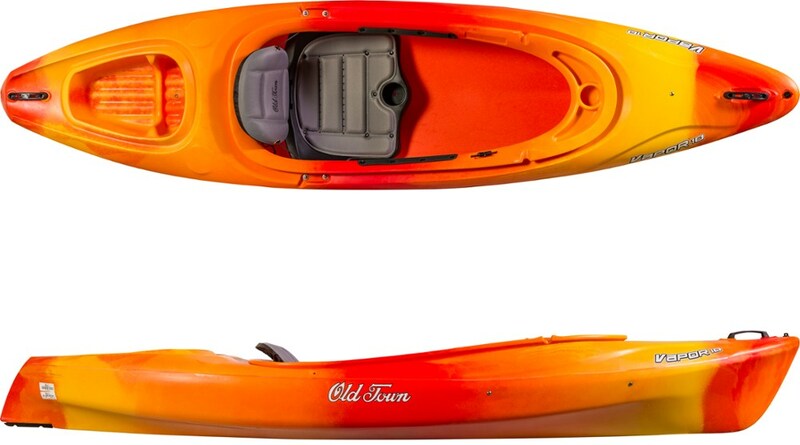 Our most popular kayak is stable, fun and maneuverable - great for fishing and exploring. Suitable for outings of a few hours in calm to lightly windy weather. A full 10 feet in length and with a sleek hull shape. 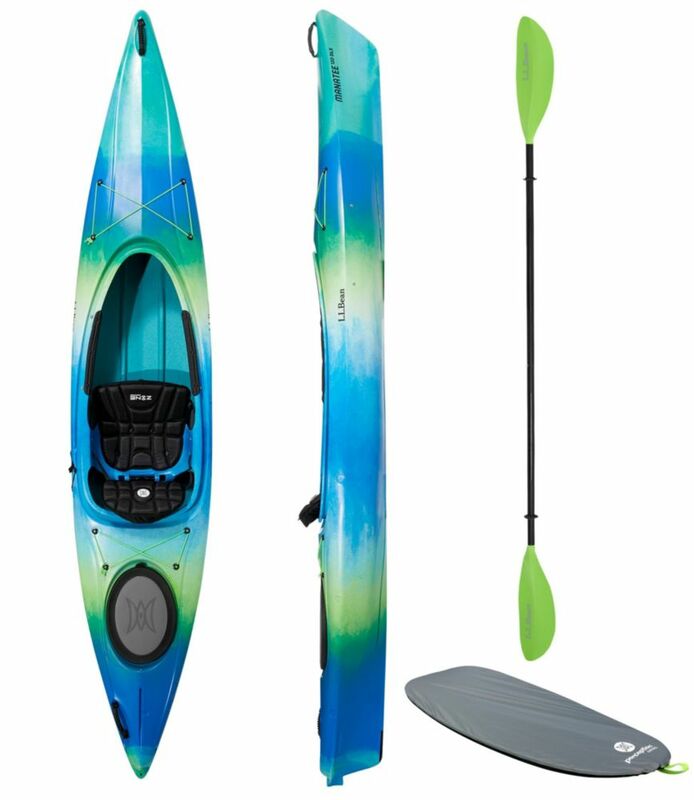 The Manatee tracks better than similar kayaks without sacrificing stability and speed. Adjustable foot braces and fully padded high-back seat provide a comfortable fit. Zone comfort seating features a padded seat and fully adjustable backrest for a custom fit. Padded rim lets you comfortably rest your legs on the cockpit coaming. 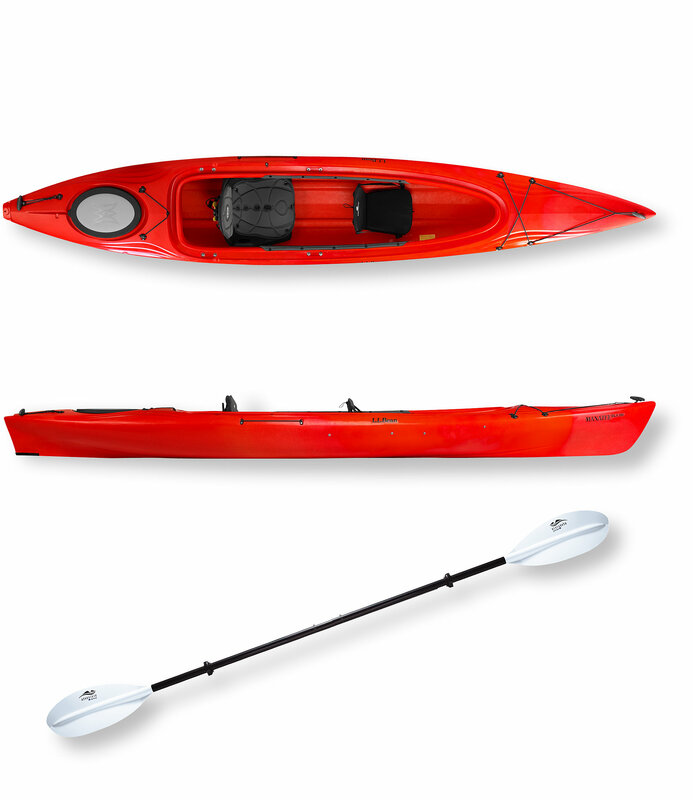 Paddle park holds your paddle securely. Front and rear deck bungees provide storage of items you want to keep close at hand. USA. 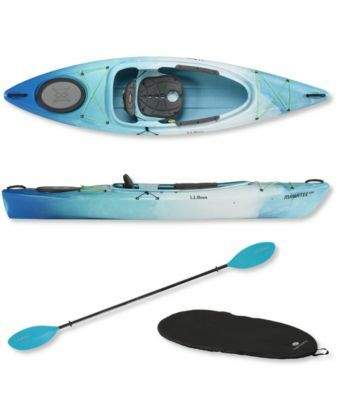 The L.L.Bean Manatee Solo 10 is not available from the stores we monitor. 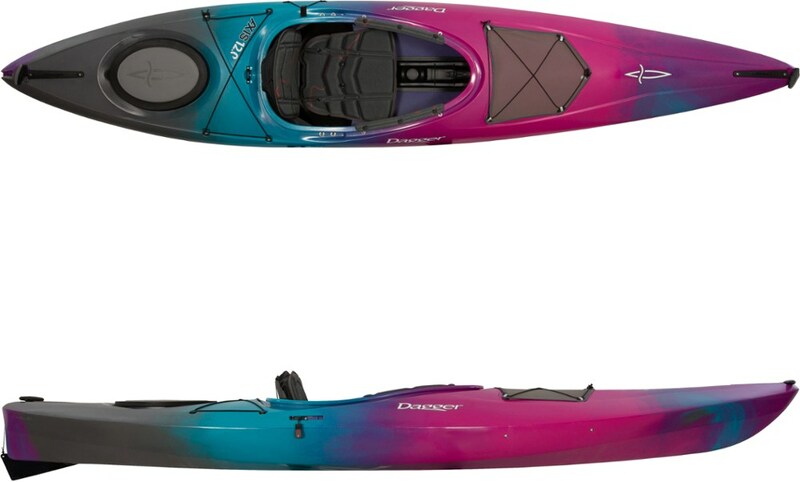 It was last seen February 26, 2019	at L.L.Bean.